LilySilly invites you to make your own puppet! We do workshops for kids in schools and at events such as birthday parties. To see upcoming workshops check out the calendar. 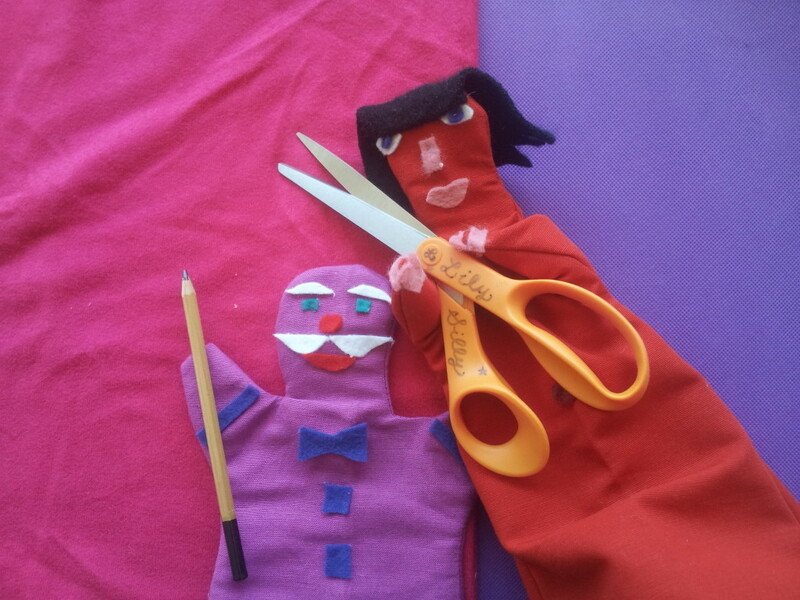 Children can make a hand puppet from provided materials. We provide the blank bodies, and fabric, buttons, beads, and other materials for children to add faces and accessories. We use hot glue (with assistance) to create original works of art. Then children are invited to try their acting skills in the puppet theater! Check out those googly eyes! 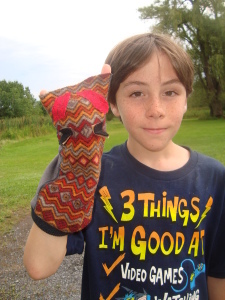 Puppet making at Camp Annie. 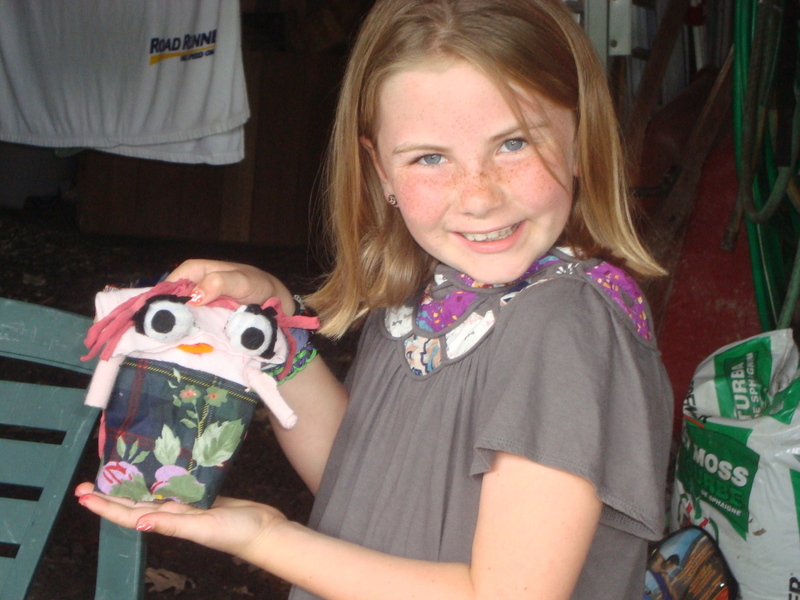 Workshops are a great opportunity for hands-on fun. 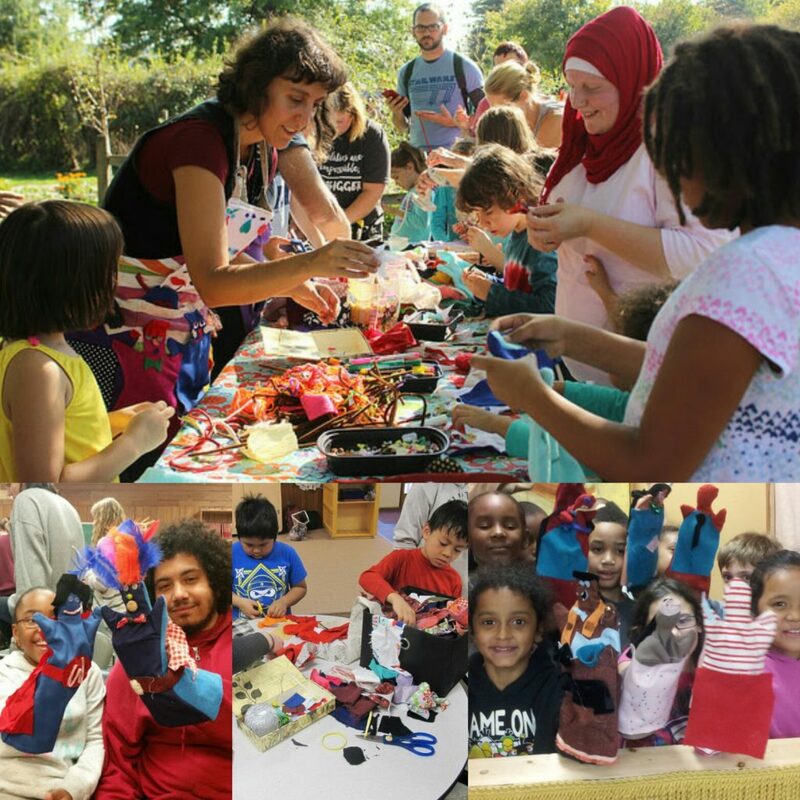 With the guidance of a puppet friend or two, kids get to make their own creations from provided recycled and reclaimed materials. 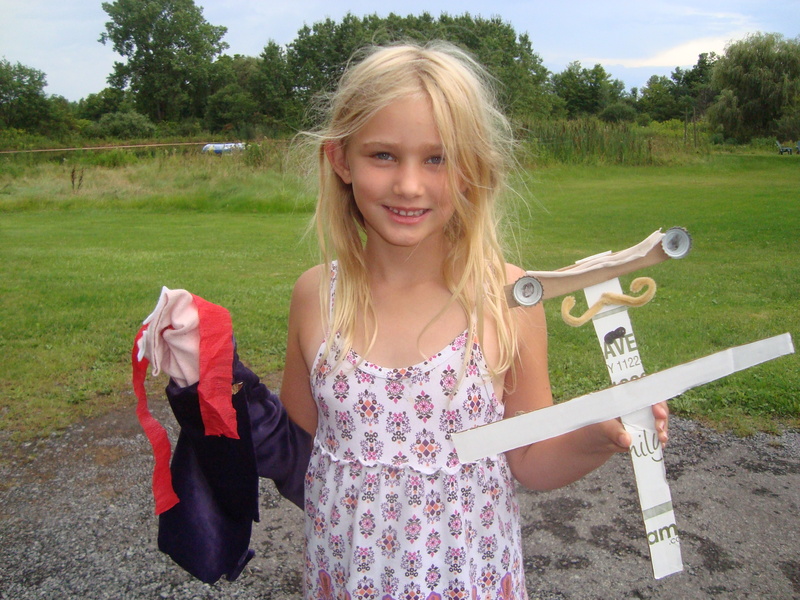 After making the puppets, everyone is invited to play with the puppet theater. 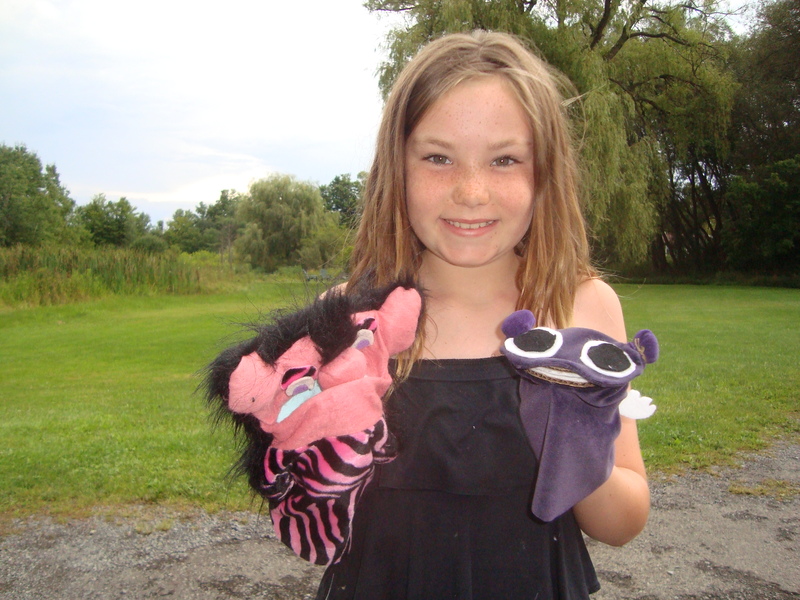 Puppets are naturals at storytelling so with just a few basic suggestions, we can have a fun show, or just be silly. Each puppet experience will be different depending on what each group wants to do. 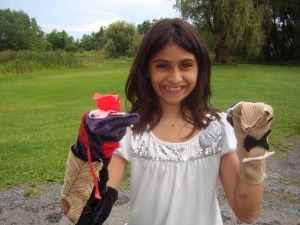 There are many options for puppet building. We can make basic puppets with cardboard and cloth, sew hand puppets with movable mouths or without. We can use hot glue guns, or sewing or something else. The main point is to have fun creating something of your own imagination and sharing it with others. Want to have a workshop at your school, party or event? Great! Have a question? Alrighty. Get in touch here.